I.Can’t.Stop.Kerning. I need an intervention now! 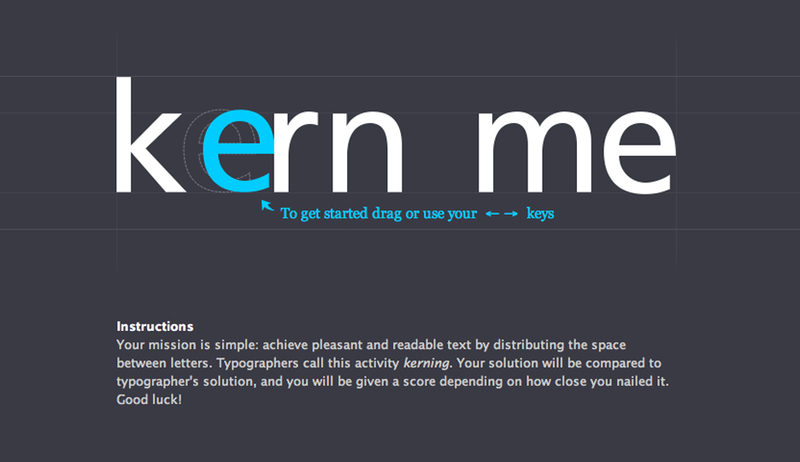 Totally obsessed with this this kerning game designed by Mark MaKay. I can’t seem to get above 90%, can you do better? Find out here. xoxo! I’ve only tried this 3 times and I’m already hooked. I love fonts. yes like these a lot…agree! !